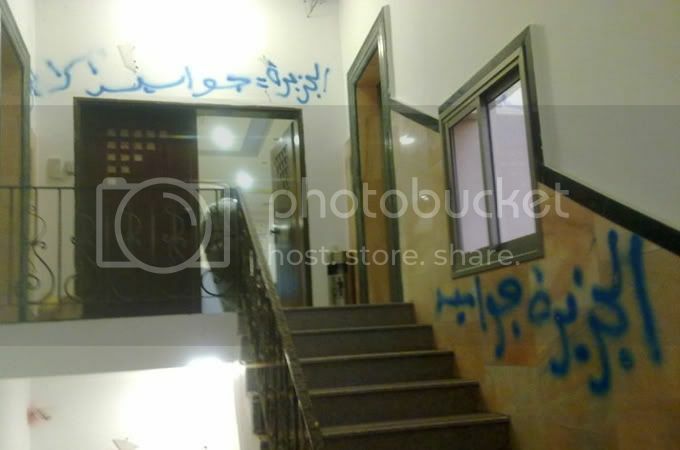 A small group of Palestinian Authority loyalist has vandalised the Al Jazeera office building in Ramallah. Palestinian Authority loyalists have vandalised the Al Jazeera office building in Ramallah in reaction to the release of The Palestine Papers. A small group of protesters had gathered in front of the building in the main square of the West Bank town on Monday. They later made their way into the building and got as far as the front door of the bureau where they tried to force the lock. The person filming the footage below was attacked by the group. When the police arrived at the scene the crowed was dispersed without further incident. Al Jazeera's James Bays, reporting from Ramallah, said that the incident "shows how passionate some people are about this issue and how heated the debate in this city has become since the release of the Palestine Papers”. 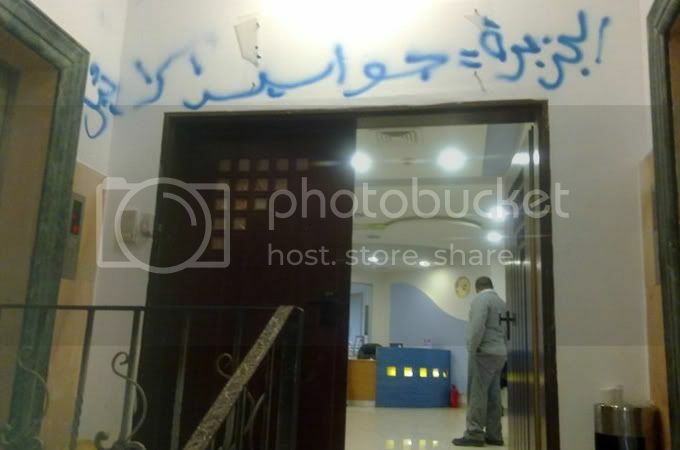 The protesters left some graffiti on the walls of the Al Jazeera office building. 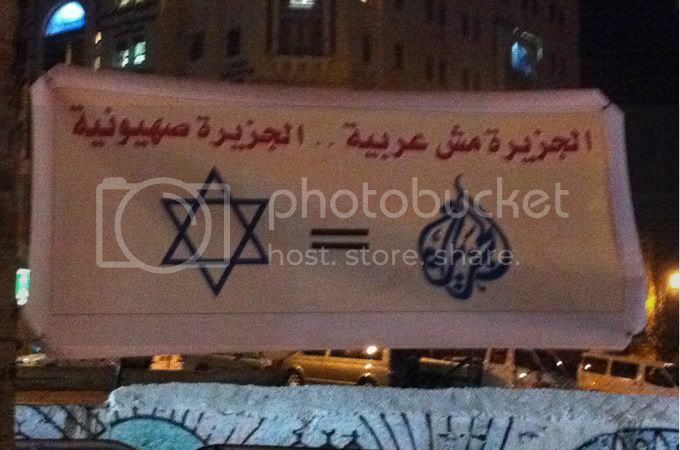 The one below reads: "Al Jazeera= spies for Israel"
The banner reads: "Al Jazeera is not Arab ... Al Jazeera is Zionist"